Controlled Dehumidification IMS utilizes flexible engineering and manufacturing techniques to build large-capacity desiccant dehumidification systems for a wide variety of industrial and commercial applications. 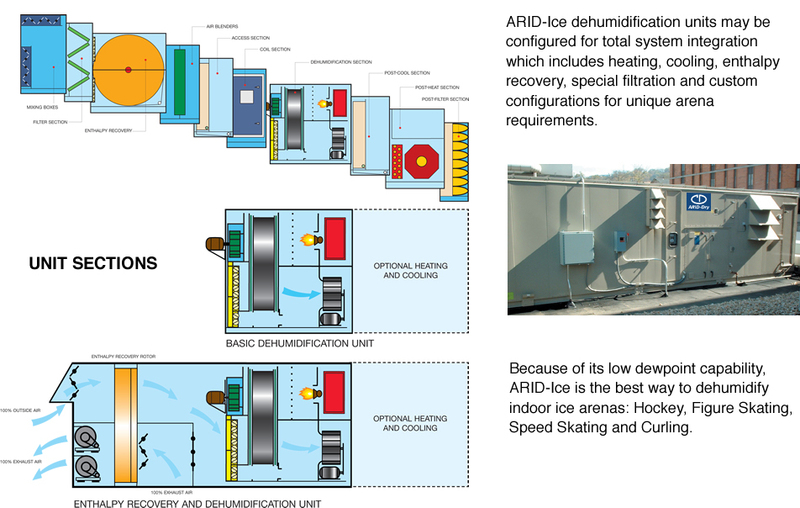 The ARID-Ice™ product is comprised of high-capacity desiccant dehumidifiers to remove ambient water vapor from air. Complete solutions are available for condensation, fog and mold. Special attention is paid to construction details to provide a resilient unit capable of meeting the demands of outdoor or indoor installation. The units incorporate state-of-the-art features to maintain peak efficiency. 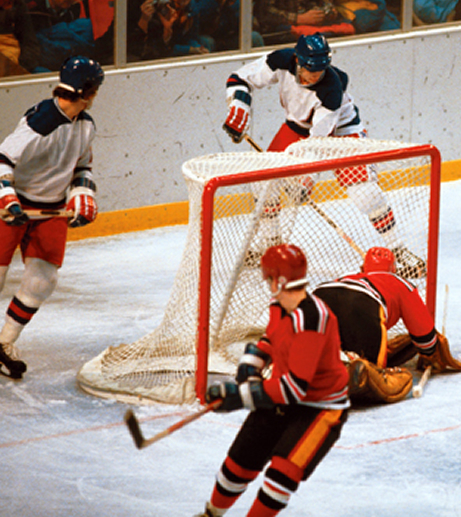 Our wide variety of products can be applied to a small community rink as well as stadium style arenas. Our goal is to maintain the highest ethical standards and professionalism in order to best satisfy our customers. Solid desiccant rotor adsorbs moisture from process air. Heat is used to "reactivate" the desiccant. Thermodynamic efficiency: Achieved because no change of phase (condensation) is involved in moisture removal. 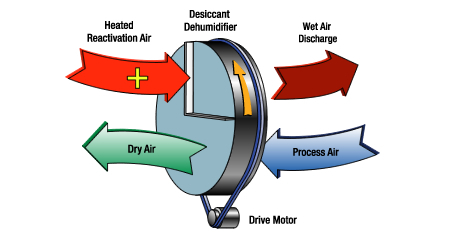 Simple design: Basic dehumidifier includes only two fans, a reactivation heat source and the desiccant rotor assembly. Maintenance: Simply replace filters regularly and performance is assured. No messy or troublesome replacement of desiccant material is required. A yearly inspection by our service technicians is available to head off unscheduled outages. Construction: Double-wall insulated casing suitable for indoor or outdoor mounting (most sizes). Controls: Most sizes include standard intelligent microprocessor controllers with "Fail-Capable" mode and building management system interface ability. More Sizes: Units range from 600 to 45,000 CFM. More Support: Application engineering assistance, startup and owner training, and preventative maintenance programs offered by ARID-Ice. Ultra Efficiency Ventilation allows dehumidified ventilation air for indoor air quality.